There are some excellent free resources online that help young writers. Some are in the form of tools and interactive gadgets that generate a prompt in the form of an image or a structure, something that might spark the beginning, middle or even the end of a narrative. Others are directed more at teachers who are looking for ways to help their students with writing, but these include excellent prompts too. At the end of this article, I’ve embedded a list of more tips for teachers and parents who want to help kids write. Here you'll find a range of ideas and prompts that help kids get an idea to START their first draft, something many students struggle with. *** Find picture prompts for writers at Once Upon a Picture. *** Find more picture prompts at Pobble 365. *** Here is my Creative Prompt Series at The Book Chook. These prompts can be used for lots of different kinds of creating, including writing. Like all prompts, I encourage kids to build on an idea or deviate completely if that’s how they want to go. *** Having kids play with language to make silly sentences can not only spark an idea for their own writing, it also gives them a handle on how to structure a sentence. Here is Ambleside’s The Amazing Sentence Machine. The Ambleweb Crazy Story Machine is different but similar. *** Another type of visual prompt is this Emoji Generator. Kids can keep clicking on “And then…” to produce a new emoji to weave into their story, or start over. *** Scholastic Story Starters is a kind of virtual machine that has four themes. Once kids choose from Adventure, Fantasy, Sci-Fi or Scrambler, they then push a lever to generate a story idea e.g. “List five presents you would buy for a nervous cousin who spends a week in an amusement park.” and also change those elements they want to. There’s an associated guide for teachers. *** Scholastic also offer Writing with Writers where authors guide students through workshops about different kinds of writing. *** Writing Prompts for Children (part of Writing Exercises UK) has several interactive “buttons” to press that generates a story prompt - a character, a plot suggestion, a first line, an object to incorporate into a story etc. *** ReadWriteThink’s Fractured Fairy Tale tool is Flash-based. It helps kids better understand story structure at the same time as encouraging them to have fun and imagine. Here you'll find resources for teachers who want to encourage students to write. *** ABC Splash writing resources include interactive games, videos and advice from adult writers for kids. *** There is a great Facebook Group, specifically for teachers interested in encouraging kids to write: On Butterfly Wings ~ Writing Inspiration. Teachers need to apply to join. *** Australia Post has detailed, step-by-step instructions for students on writing letters. *** Find excellent teacher resources to support writing at the Wicked Young Writer Awards. *** Here is a UK site that is well worth browsing: Talk 4 Writng. 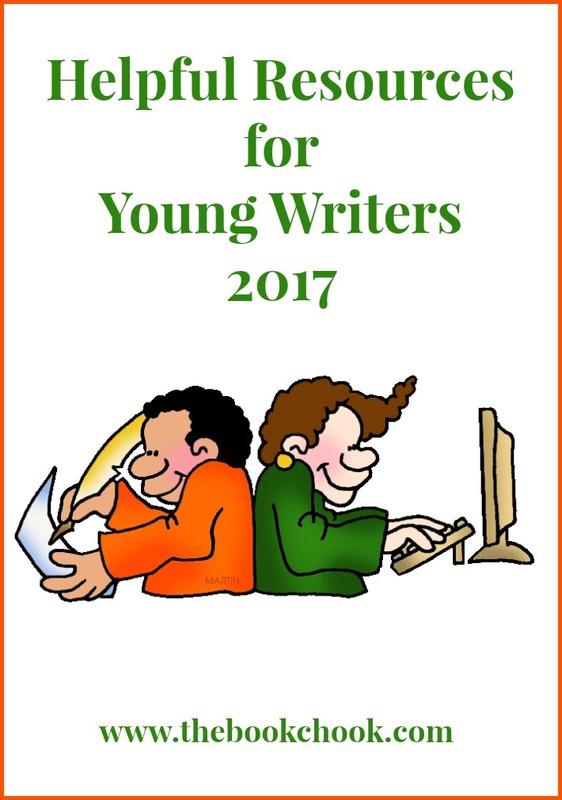 *** NaNoWriMo has resources for young writers who want to write a novel - primary/elementary students included. *** The Literacy Shed has many excellent animations and videos with activity suggestions for teachers who work with young writers. *** ReadWriteThink, a US organisation, has a vast amount of writing resources that cover areas like persuasive, narrative and other types. *** Have you thought of having your students create the text for a wordless picture book? You can find some of my favourites here. The Box is a children’s picture book by Kevin O’Malley and is available on his website as a free downloadable PDF. Why not have your children tell this story in their own words? There is another free PDF story too: Bruno, You’re Late for School. If you’re interested in teaching kids to write, you might like to read Encourage Kids to Write Poetry with Tools and Apps or How Do Kids Write a Book Review? Many of my Free PDFs also have writing activities in them. My list, Teaching Kids to Write, is also embedded below.